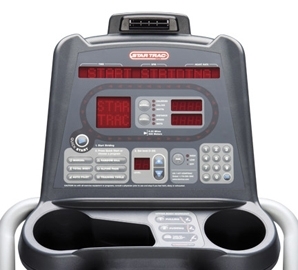 The Star Trac P-TBTx Total Body Trainer is the first machine to integrate strength training into a cardio workout. 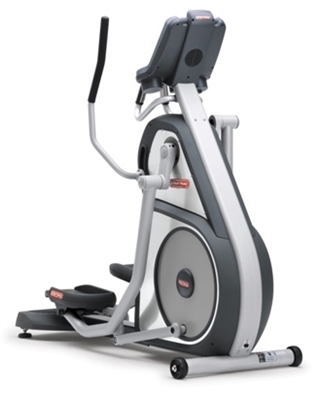 The product of Star Trac's partnership with BMW Group DesignworksUSA, the P-TBTx Total Body Trainer features SelectFit technology. At the push of a button the user can choose from a pushing or pulling upper body motion, working two distinctly different muscle groups. The upper body motion can even be disengaged for a focused lower body workout. Effi cient footprint and approachable, stable platform with minimal step-up height for easy access from all angles. 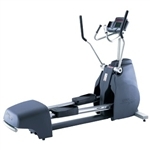 Programs: 8 programs including Quick Start, Dynamic Heart Rate Control, Constant Heart Rate Control. Pedal size: 17.5” L x 8” W, open ended.